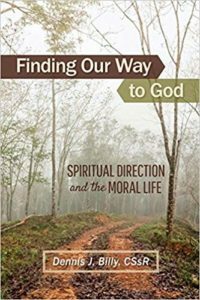 People interested in deepening their relationship with God now have a new resource available for free: Father Dennis J. Billy’s online course, Finding Our Way to God: Spiritual Direction and the Moral Life. The course is available for free between now and March 5. Afterward, the price increases to $50. To sign up, visit https://spiritualdirectors.world/ and follow the instructions. “There are many models of spiritual direction, but this particular model that I am presenting is based on St. Alphonsus Liguori’s, who was a doctor of the Church and the patron saint of confessors and moral theologians and was known by many as the doctor of prayer,” said Father Billy. “It takes his approach to mental prayer and shows that it can be used in the process of spiritual direction itself. Father Billy’s online course is just one piece of his recent work in exploring the relationship between spiritual direction and the moral life. In September 2017 he began receiving funds from a three-year grant awarded by the Templeton World Charity Foundation. The grant supported the creation of a book on spiritual direction (Finding Our Way to God, now available from Liguori Press, Amazon, and other booksellers) and the acquisition of virtue; development of DVD, CD, and MP3 materials on the subject; and the online video-based Finding Our Way to God program. During the course of the project he intends to explore ways in which the approach to spiritual direction he has developed can be adapted for members of other religious, philosophical, and ethical traditions. His project represents an attempt to integrate spirituality with the moral life and should be of interest to all Redemptorists and their lay collaborators throughout the world. 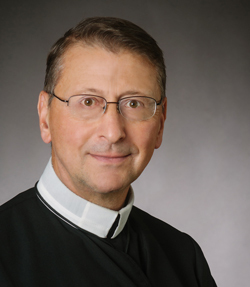 Father Billy serves as the Karl Rahner Professor of Catholic Theology at the Graduate Theological Foundation and is in residence at Notre Dame Retreat House in Canandaigua, N.Y. He has written more than 30 books, published many articles in a variety of scholarly and popular journals, and is very active in retreat work and the ministry of spiritual direction.